Apple today seeded build 12F26 of OS X 10.8.5 to developers, marking the sixth beta iteration of 10.8.5. 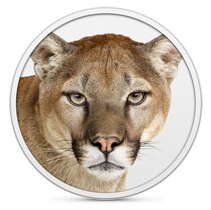 The release comes exactly one week after the previous OS X 10.8.5 beta, build 12F23. As with previous betas, the update contains no known issues and can be downloaded via Apple's Developer page or through the software update tool of the Mac App Store. It is also available to AppleSeed members with a new version of Safari. Why not...? ML is the CURRENT OS, Mavericks is the OS to be launched. It's not there yet. So ML needs to be maintained. Simple as that. Then there is the whole "Testing a new OS" side of IT. You wait for 10.x.2, test, and deploy. Unless it's Lion. Then you ignore it. How do you know this, MacRumors? The developer site is down and you can't login. Because companies can't just hop on the Mavericks Bandwagon, There are support implications, and some of us have to wait for software to drop to support the new functionality. Then there is the whole "Testing a new OS" side of IT. Sure, Microsoft OS'es are a bit different than Apple, but you can't just release a new version of an OS to a department or company without knowing how you're going to support it, and handle the differences. The important question is: what for? You obviously have no Idea how faculty at a Tier One University act. They buy it. You Support it. It's not their problem if you don't know how (which is why we have the Dev Account) to support it. They want support and they want it now! Hardware is an issue? Bah, just go buy whatever it takes to make it work. Even harder when as soon as Apple releases Maverick machines will start coming with it. So there is the immediate need, plus our internal apps. Since I've worked at two Universities, you're a little off. Also, if your faculties control their IT budget then that's hilarious; IT should control the IT budget, based on feedback from user requests balanced with what's practical. Working any other way isn't working at all. Because not everyone will upgrade to Mavericks; either because they don't want to spend the money or because their hardware will be not be supported. Also because security issues will continue to be found, and will need to be patched.